Today we are really excited to announce the new Plivo Console. The new console is a redesigned experience with a major focus on the information architecture across the dashboard. Check it out now by logging in or signing up on the Plivo website (www.plivo.com) or by navigating to console.plivo.com. We achieved these by introducing different sections for products, accounts & billing. The new console has a section for each product which is easily accessible from the product selector present in the top navigation. Features and items relevant to a product are now present in the respective menu sidebars present on the left as shown below. 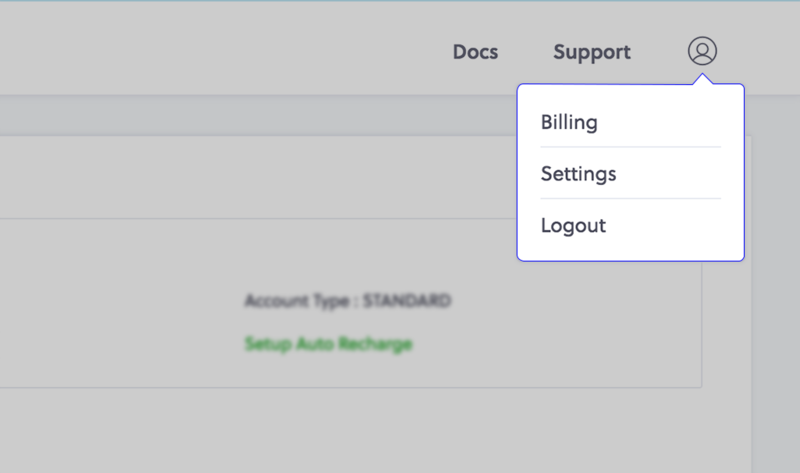 The accounts and billing pages can now be accessed from the settings menu present on the top-right corner, as shown below. 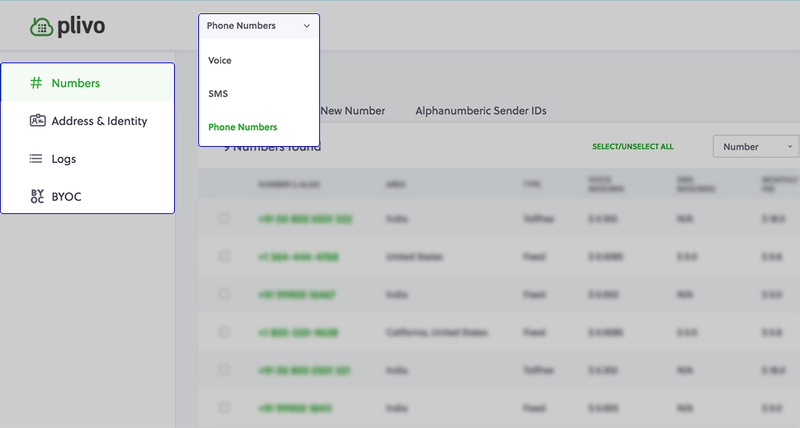 The accounts section provides controls on the account settings and sub-accounts, and the billing section allows the user to manage recharges, recharge options, usage bills and payment receipts. The new Plivo Console can be used today to perform all the tasks & actions that are possible on the existing Plivo Dashboard. An option to view the existing Plivo Dashboard is still available at manage.plivo.com, for current users. However, effective 28th February 2018, any new products and features will only be added to the new console. To experience the new UI, please log in to new Plivo Console. Users who login or sign-up from Plivo.com will be able to use the new console by default. Users could also directly access console.plivo.com and get a taste of the new console.